Wednesday, January 10, I start with medical training and therefore need a sports outfit. 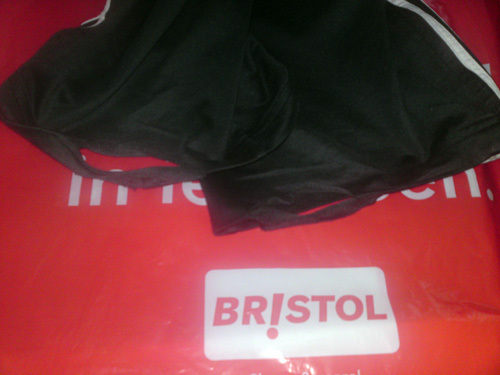 Not something very difficult – buying a sports outfit….at least I thought and went to BRISTOL HOOFDDORP to buy it. Sports clothes are on sale after all. I found sneakers and 2 T-shirts. After that, I searched the training trousers to find something in XXL (size elephant). Not in the lady’s department so I grabbed a black one in the men’s department. Same joke with the young girl at the cashier about the size elephant. Everything in a bag and I went home. Packed it into the bag again with the cashier bon and went back to the store. There the real nightmare started. “I bought this trousers yesterday. It was hanging nicely between all the others, labels on it and on a hanger. As far as I saw the only XXL so I tuck it. Today I saw the damage. I have no reason to lie to you. I have the labels at home.” “Yeah you can bring them together with the real trousers you bought yesterday.” I kept saying that this was the trousers I bought but he would not listen. ” I send an email to headquarters that you cannot try this in another Bristol shop and I make a photo of the bon and the trousers.” he ended. He called security after I said I would not leave unless this was solved. I had to leave the shop. In the 65 years I live, I never ever lied about anything. The only possibility that this is an old sports trousers: an employee of the store switched his own trousers and put the labels on it and on a hanger and there it hanged nicely between others. I never ever think about such things and therefore not got suspicious. Even more because all labels were on the trousers. I’m the victim of the scam and € 19,99 poorer. I will never ever set foot in any Bristol unless this will be solved. After many emails finally the region manager decided to refund the money. No excuses, only for the fact that it took so long.